You may provide us with a background photo or select one of our beautiful images. Your agency exists as a “digital business card” on your customers’ devices for years to come. With one click the customer can contact you and search the MLS. Your customers will experience more efficient searching in your app. 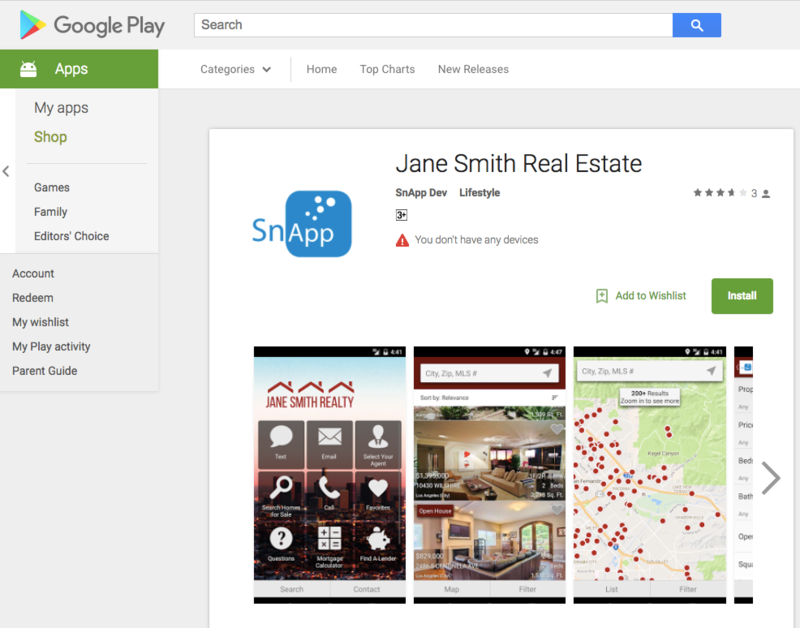 Your customers will experience more efficient property searching in your app. Sort by relevance, proximity, and square feet. Customers love the easy to use interface, making their search process efficient and effective. Provides an accurate search experience. 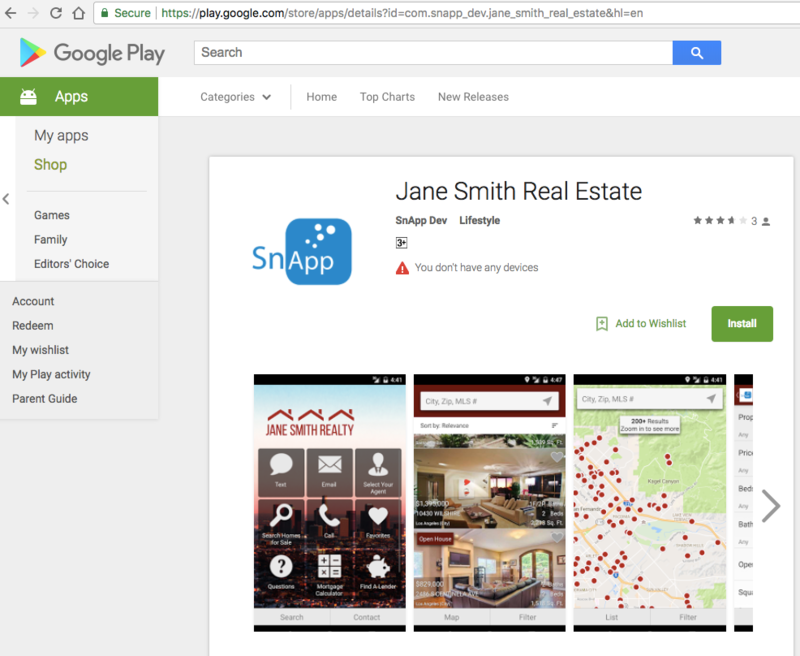 Don’t let your customers settle for out-dated listings or inaccurate information in other apps. Help your customers to find the exact property they want, with ease. A customer is required to register in order to save a property. Their information is sent to you as a sales lead. By enabling customers to favorite properties, they can access them at any time with one-click. No agent codes are required. Customers love favoriting properties and checking them for updates. 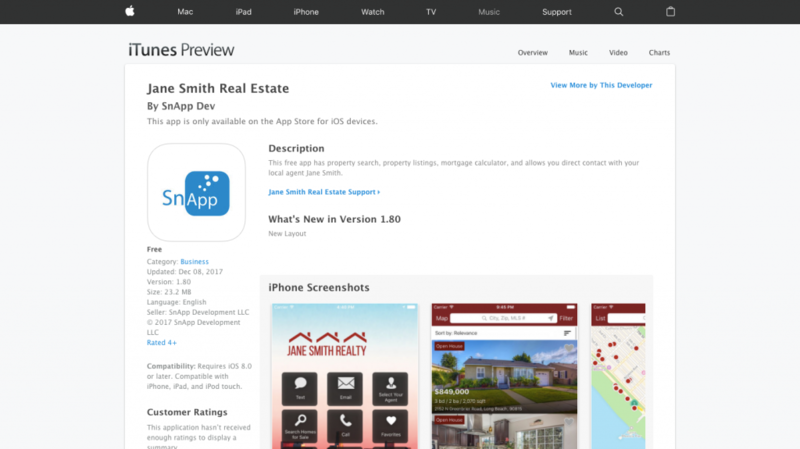 Customers can “favorite” properties and register inside your app. Customers can contact you via one click calling, email, or text. Submit questions from property details page. Integrated with your CRM for a streamlined sales process. Invite all of the prospects in your network to download and use your App. Customer can select their agent of choice. Drop down selection menu includes head shot and agent’s information. Each time the customer opens the app the selected agent’s information will appear. Enables an office or team of agents to use one app. Supports an unlimited number of agents. 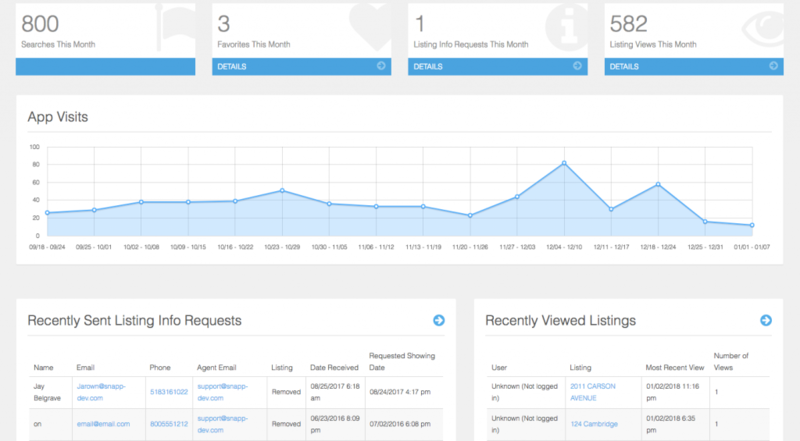 View searches, listing views, and listing info requests. Users who want to favorite a property are forced to register using Facebook or email. See the search activity of individual users who have registered inside the App. Your native App will be available in iTunes and Google Play. Give customers a unique URL to download your App on each App Store. Increase your SEO performance by linking your App Store accounts with your website. Enable all of your mobile website visitors to easily download your App.